'Hurricane' Carter Dies; Boxer Was Wrongfully Convicted Of Murder : The Two-Way Rubin "Hurricane" Carter, the former boxing champion who served nearly 20 years in prison, has died of prostate cancer. Carter's story inspired a Bob Dylan protest song; he was 76. Rubin "Hurricane" Carter, the former boxer who spent years wrongfully incarcerated for murder, has died at age 76. his life inspired a Bob Dylan protest song and the film Hurricane, starring Denzel Washington. 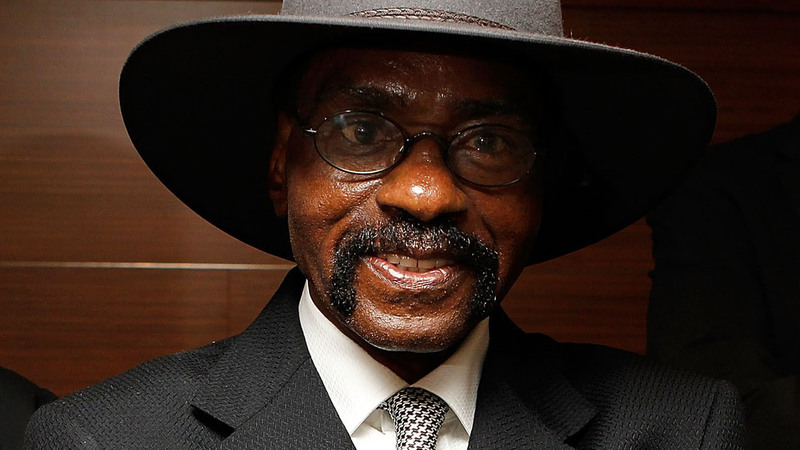 Rubin "Hurricane" Carter, the former boxing champion whose conviction for a triple murder was overturned after he served nearly 20 years in prison, has died of prostate cancer. Carter, whose story inspired a Bob Dylan song and a Denzel Washington film, was 76. Carter was a contender for the middleweight boxing crown in the 1960s, but his life and career were derailed when he and another man were convicted of three murders that took place at a bar in Paterson, N.J., in 1966. Carter maintained his innocence and his advocates kept working for his release after his 1967 murder conviction. After several reversals, Carter eventually regained his freedom in 1985. A federal court "found that police and prosecutors had violated Carter's rights to a fair trial," as NPR's Nina Totenberg reported back in 1999, "not to mention the trial judge, who allowed the prosecution to put on a case that the federal courts later found to be tainted by an appeal to racial prejudice." A native of New Jersey, Carter died in Toronto, where he moved after being freed. "There are far more people who are wrongly convicted than people would like to think about," Carter said of his activism. "And this is my work because people came to help me when I was in dire need of help." At the end of his life, Carter was comforted by John Artis, who had been convicted along with him back in the 1960s. As the New York Daily News reported last month, Artis moved in with Carter after learning his friend was being devastated by his fight with cancer. "He didn't ask me (to come here)," Artis told the newspaper. "When I heard he was dying, it was a no-brainer. I didn't give it a second thought. All he knew was I knocked on the door and said, 'All right. I'm here.' That pleased him. It brought a chuckle from him." 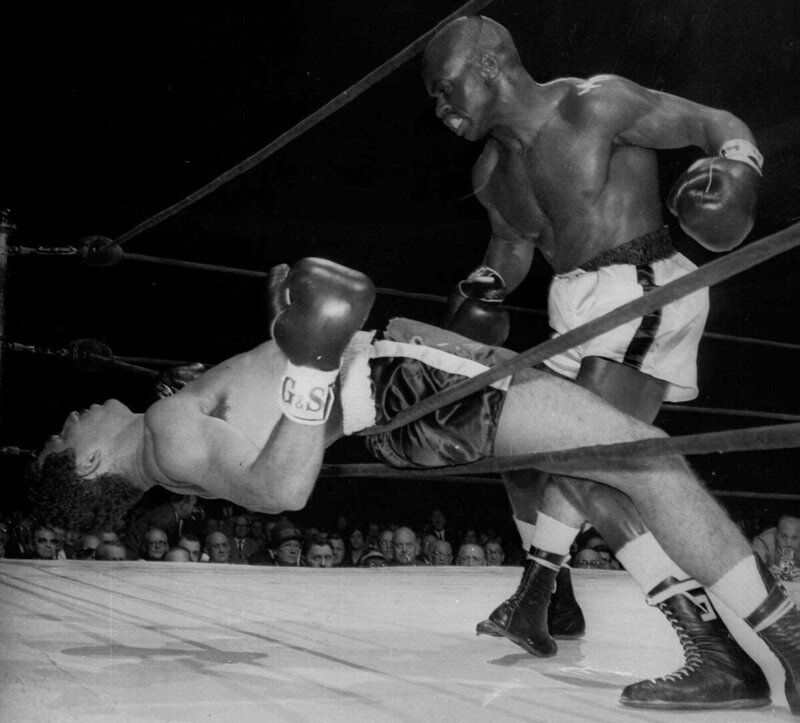 Rubin Carter of Paterson, N.J. watches Florentino Fernandez of Cuba fall through the ropes during their 1962 fight, after Fernandez was knocked out in the first round at New York's Madison square Garden. Carter has died at age 76.